Tag: REM | Sanctuary Counseling, LLC. 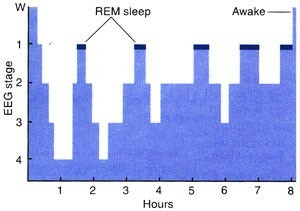 So my last blog post I talked about how slow wave sleep (the big dip at hours 1, 2, 4 and 6 in the graph) is responsible for consolidating memories of what happened during the day, and how REM sleep (the dark blue crests at the top of the sleep stages) are what are responsible for rote memorization. 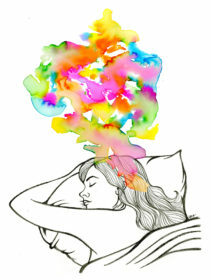 Knowing this is how our sleep cycle has an effect on memory, let’s talk about what you can do to get the most from it. First off, since you can expect 4-5 instances of REM sleep a night, that is about 4-5 opportunities for your brain to remember new tasks you give it. This doesn’t mean it hits the “Save file” button 4-5 times, it means that there are opportunities to save pieces of a process. If you are trying to cram for a test and still get frustrated why it doesn’t work, the graph to the right is why. If you study something new in smaller bursts, or make a behavior change in smaller bursts, over a longer period of time, it will be consolidated more completely since there were more nights in a row where your brain could consolidate parts of the process. There’s another quirk of memory to be aware of that can be helpful. Sometimes, when we have to memorize things in order, we might get frustrated that we can’t quite recall all of it. This is normal. Some things you might study get forgotten. This is because your brain tends to see some types of information as more important. 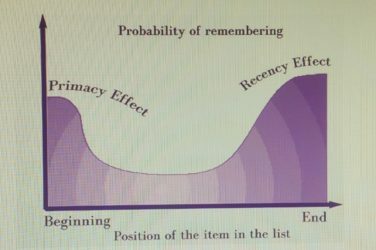 When we try to remember a sequence of things, we tend to remember the beginning of a sequence and the end of a sequence. This is called the primacy and recency effect, respectively. Your brain is really good at consolidating those memories first, partially because it likes to draw boundaries around information, and fill it in later. If you are looking for tools to help supplement your study routines, check out programs like the Mnemosyne Project or Quizlet. If you’ve found these blogs about dreams, sleep and memory helpful, or you have more questions about how the brain works, I’d love to hear back from you! 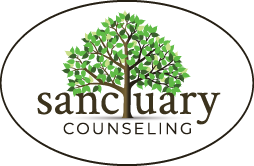 I can be reached at timothy@sanctuarycounseling.com.